Scientists have built a large body of knowledge about Lyme disease over the past 40 years, yet controversies remain and the number of cases continues to rise. In the United States, reported cases of Lyme disease, which is transmitted from wild animals to humans by tick bites, have tripled in the past 20 years. A multitude of interacting factors are driving the increase in Lyme disease cases, but their relative importance remains unclear, according to Marm Kilpatrick, a professor of ecology and evolutionary biology at UC Santa Cruz. Nevertheless, he noted that there are a number of promising strategies for controlling the disease that have not been widely implemented. Kilpatrick is lead author of a paper published April 24 in Philosophical Transactions of the Royal Society B that examines the complex array of factors influencing the prevalence of Lyme disease and identifies the major gaps in understanding that must be filled to control this important disease. Some of the unresolved issues are highly contentious, so Kilpatrick sought input for the paper from a wide range of Lyme disease researchers and developed a consensus on areas of agreement. “I wanted to address these big disputes. We’ve done so much work, let’s identify what the gaps are and fill them so we can move on,” he said. A key missing piece in the Lyme disease puzzle is that scientists lack a detailed understanding of what limits populations of the Ixodes ticks that transmit the disease. Deer are the most important hosts for adult ticks, so the ticks are mostly absent from areas with no deer. But efforts to control ticks by reducing deer populations have had mixed results. “If you eliminate deer completely, you can usually eliminate ticks. But is there a number to which you can reduce the deer population and have an impact on Lyme disease? We don’t have a good answer right now. There have been experiments where the deer population was reduced by 50 percent or more without any measurable decrease in the tick population,” Kilpatrick said. 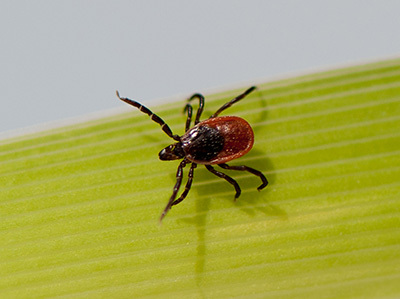 The Borrelia bacteria that cause Lyme disease are carried by small mammals such as mice and shrews, from which the ticks pick up the infection and transmit it to humans. It may be that in some areas, the most important drivers of tick abundance are the factors that control small mammal populations, including their food supply and predators, Kilpatrick said. 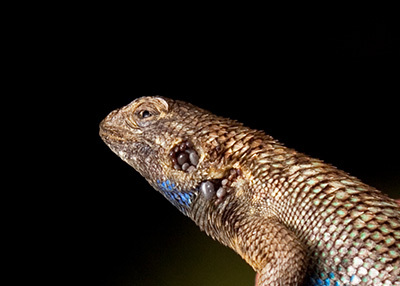 Another complicating factor is the existence of multiple strains of the bacteria, which appear to be associated with different small mammal hosts. The strains found in infected humans are often associated with a subset of tick hosts, Kilpatrick said. But the role of each host species, including mice, chipmunks, and squirrels, in sustaining tick populations and infecting them with strains of bacteria that cause disease in humans is still unclear. “There are many factors causing variation in Lyme disease incidence, and this complexity of factors makes it challenging to make strong predictions about where the hotspots are going to be,” Kilpatrick said. Pesticides that kill ticks (acaricides) are available and can be effective at reducing the numbers of ticks, but they are only useful on a small scale. In some regions, many infections are thought to be acquired from ticks in suburban backyards, but homeowners are often reluctant to spray pesticides in their yards. Other strategies targeting host animals with acaricides have shown promise in some trials. For example, deer can be lured to feeding stations where they rub against rollers that apply acaricide to their fur, which kills the ticks they carry. Another approach involves putting out treated cotton for mice to take back to their nests where it kills ticks. A vaccine that was 80 percent effective in protecting people from getting the disease was available for several years, but was withdrawn from the market in 2002 due to lack of interest. The paper appears in a special issue of Philosophical Transactions of the Royal Society B on the theme of “Conservation, biodiversity and infectious disease: scientific evidence and policy implications.” Kilpatrick is lead author of another paper in this issue on “Conservation of biodiversity as a strategy for improving human health and well-being,” in which he examined the evidence linking biodiversity to disease risk and outlined the steps needed to develop biodiversity conservation into a public health control strategy.